I have had a number of conversations as of late with people that either run companies or who are responsible for overall company performance including driving sales. Without fail our conversations always touch on email marketing as a customer acquisition tool. The reasons for leading with email marketing are obvious (to them), but often their reasoning is, well, wrong. True email remains an inexpensive tool to distribute an offer (or offers) to prospective customers. Inexpensive when compared to traditional direct mail, print advertising, television and radio advertising, email for customer acquisition offers an environment where marketers can test a number of lists and creative options (i.e. subject lines as well as offers themselves) and do that all for less than $10,000. It is very difficult to invest under $10,000 and have enough reach and impact in television, radio or even print compared to highly targeted capabilities available in email marketing. So why are these veteran business folks wrong when they think email first? Because they are counting on converting a certain amount of what they see as easy sales. Send out some emails, customers go to our website and then order the product. It’s simple right? Not so fast. While it’s true that if 25,000 emails are sent out to targeted lists of potential customers that have shown a proclivity to both respond to emails and to buy products like yours, there will be conversions to customers, but there will also be those that need more than one touch to be convinced. The life cycle to convert certain prospects may not be days, weeks or months, it could take years and multiple rentals of the same prospect’s email address. Keep in mind that every time you wish to reach a prospect via email you need to re-rent the name from the list owner. Once the prospect responds (even if she does not order) that name then becomes your property and you are able to email that name in the future until the prospect asks you to stop. After I explain the above aspects to interested parties I ask them how they envision the prospective customer journey. I get a lot of blank looks on this one. Where will your prospect click to when she responds to your email? The website Home page (really?). The shopping cart (this is a popular one)? The idea that people might be so motivated by your killer offer that when dropped in the shopping cart they will just put in their order and payment information is wishful thinking at best. How about a landing page on the site that offers concise information regarding the offer and an easy way to order the product (one click) that then takes you to the shopping cart? 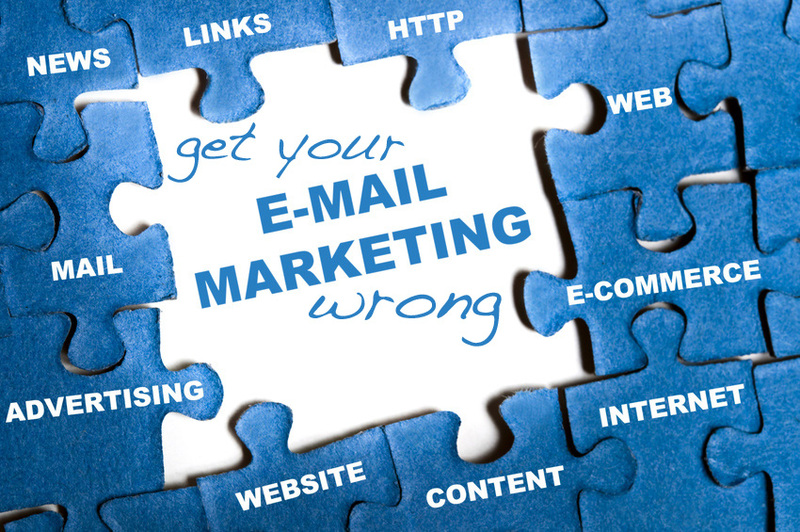 That will help increase conversions but does not guarantee your email marketing campaign will be ROI successful. Creating interest on the part of a prospect may be the first step to conversion but it’s not going to be a slam dunk on the first shot. I am all for acquisition testing email marketing as a channel for certain products and services both B to B and B to C. However very often email marketing is just one of the digital marketing efforts I might suggest. Display advertising (again offer based), premium publisher site advertising and social networking advertising should also be considered and if appropriate, tested. Sometimes the per thousand cost of premium publishers and some social networks may appear expensive in contrast to RTB (real time bidding) digital advertising. Yet you might find that the most expensive advertising on a CPM basis offers your highest response and conversion. If a cheap advertising campaign draws little response or few conversions is it really the lower cost? Sometimes the lowest cost is actually the most expensive. This entry was posted in Advertising, Best business practices, Email marketing and tagged Email marketing, marketing that does not work, Subject lines, the most expensive marketing. Bookmark the permalink.